In this course you will learn to master your BERNINA Embroidery machine. You will learn everything you need to successfully embroider with your machine, including setting up your machine for embroidery, customizing your machine's settings, navigating your embroidery screens, adding lettering, editing your designs, placing designs, changing thread colors and more. We will work step by step through hands-on activities from the My BERNINA Embroidery Mastery Workbook. This class is included with the purchase of a new BERNINA purchased from The Vintage Owl. If you purchased your machine at another retailer, there will be a $49.99 charge for this class; please register for BERNINA Embroidery Basics (purchased at another retailer). All classes must be pre-paid to reserve your seat for the class. All class required materials and notions can be purchased at The Vintage Owl for 10% off at anytime before the class. You can also order needed materials and notions for the class from our on-line store, and we can have them ready for you to pick up, or delivered. Each class will have a minimum student requirement; if it's not met we will notify you to arrange a refund. If you're not able to attend, please notify us within 48 hours of class date to receive a refund. Due to minimum requirements for the instructors, any cancellations made in the 48 hours prior to the class date will not be offered a refund. 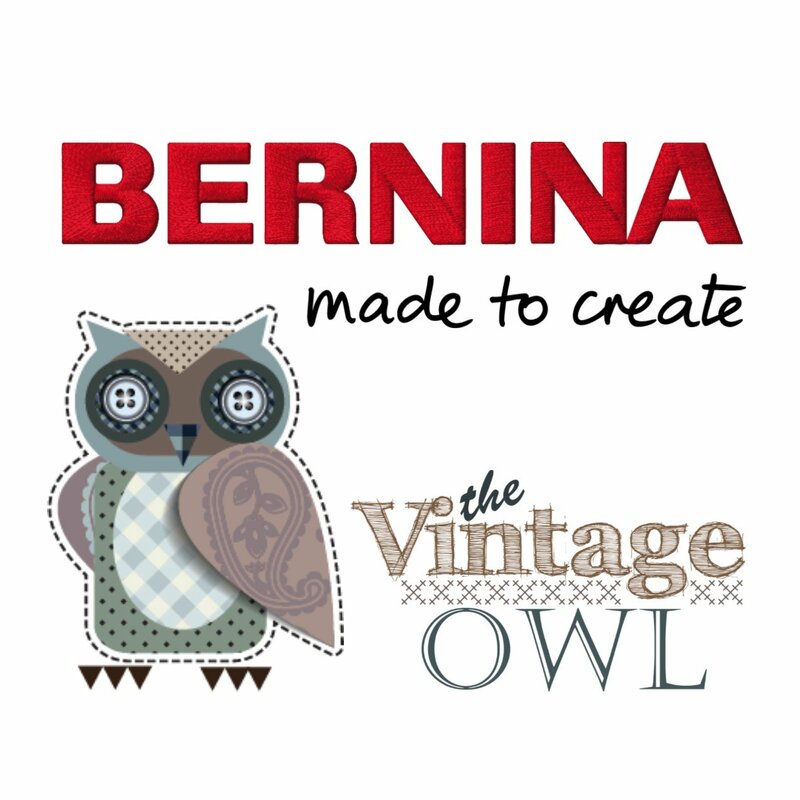 This class is included with purchase price for BERNINA machines purchased at The Vintage Owl.